While the general public thinks that all the seafloor has been mapped and many hydrographers and ocean scientists accept published maps and datasets as faithful representations of the deep-sea floor, in reality only a small percentage of the seafloor has ever been directly measured; estimates range from 1% to 10%. There has never been an unclassified programme designed systematically to sound the deep ocean acoustically on a regular pattern of survey lines. Consequently, deepwater bathymetry maps have to be made from data ranging from small areas of densely packed measurements in a regular pattern to widely spaced, random, isolated measurements not collected in one unified survey. Large areas have been mapped only through extrapolation or interpretation from sparse, widely spaced data. Because deepwater data is so scant, all the data has to be used, so that deep datasets usually contain soundings collected as much as forty years apart; various uncertainties regarding position and depth calculations complicate the extraction of information from them. This situation arises to a large degree because of the sheer size of the area to be surveyed. Only 10% of the world’s ocean are less than 500m deep, which means that ‘deep water’ covers well over 60% of the earth’s surface. Survey ships do not travel very fast, are not at sea every day and tend to be deployed in specific areas, often repeating a track or staying within a restricted area. Of course, the use of MBES vastly increases the area that can be ensonified. But calculations show that it will take two hundred years of continuous ship time to cover the seafloor deeper than 500m. With the current level and location of surveys it is clear that it will be many years before the entire ocean has been ensonified to the resolution of the land or the moon. Because the ocean is so large and the portion of it that any one ship can survey so relatively small, it has long been recognised that only international co-operation will accomplish the mapping of ocean basins. As early as 1899 the idea of an international chart of the world ocean was suggested, an idea that came to fru–ition in 1903 when the first edition of the General Bathymetric Chart of the Oceans was produced by Prince Albert I of Monaco. Four further paper editions were produced over the course of the twentieth century, followed by digital versions of the maps and, more recently, by a grid of digital depths. 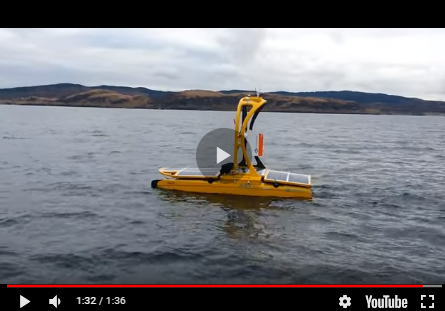 Providing these products requires a supporting infrastructure, the most relevant of which to the theme of Deep Water Survey is the IHO Data Center for Digital Bathymetry (IHO DCDB) operated by the National Geophysical Data Center in Boulder, Colorado, USA. Very simply stated, the DCDB accepts contributions of depth data from all possible sources, performs fundamental quality control, maintains inventories of digital bathymetric data and its metadata, and makes the data available to the world hydrographic community and the general public. A number of national data centres perform a similar function, in their own waters or with data collected by vessels of that nation: the data centres collaborate with one another in establishing standards and sharing data. In theory, then, each deepwater cruise sends its data to the appropriate data centre and all deepwater depth data can be assembled in one place, to which all contribute and from which all can draw for the production of new editions of ocean-wide maps. Although majestic in concept and elegant in theory, in practice assembling deep data is not as effective as it should be. In fact, the data centres are frustrated that only a portion of the deep-survey data thus measured is ever submitted to them. In an unknown but suspected large number of cases, the instruments are operated during a cruise, the results used for one paper or report and then data left to languish. It is much worse when the instruments are not even turned on. Data that could have been collected but was not might have made a significant contribution, even been crucial to solving another problem on the deep ocean floor. There are a number of factors that can contribute to the non-submission of depth data. In some cases there is no reward offered the Principal Investigator (PI) for doing so, although many funding agencies make submission of data a condition for further funding. PIs are concerned, quite naturally, with their own research, and may lack the resources to file and submit sounding data. Despite the best efforts of data centres to make the process easy, PIs may be under the impression that submission is an onerous task. Overreaching this, perhaps, is the belief that there is no longer a need to collect bathymetry data, since it has already been mapped. We deep-ocean map producers must share some of the responsibility for this erroneous impression, since at world or ocean-basin scale maps are produced as works of cartographic excellence, seemingly complete and internally consistent. (Only at larger scales can some representation of the amount and arrangement of the original data be shown). The image created in the minds of those using these maps is very powerful and not easily overcome. Grids of depths are even worse: creators of them have no way of informing their users of where the grid points are strongly rooted in real measurements and where they are a long way from any anchoring truth. A second reason for the impression that the seafloor has all been sounded is the production of impressive maps based on satellite altimetry which, except for high latitudes, cover the world-ocean. Since we live in an age when so much is done from satellites it is not unreasonable for those innocent of the intricacies of bathymetry to believe that the altimetry maps represent a complete mapping of the ocean floor. Even though the authors of these maps have published carefully-reasoned papers explaining that satellite altimetry needs acoustic ground truth, and that present altimeter data can only capture seafloor features with a horizontal scale exceeding 14km, the beautiful imagery of their maps is often an argument too powerful to be overcome. Most marine professionals use bathymetry, and all would benefit from having bathymetry that is more accurate, detailed and complete because it is based on a robust dataset. When deep-sea soundings are collected and passed to a data centre they will be interpreted, in conjunction with all other acoustic data, with input from satellite altimetry and incorporated into GEBCO products. These will be used for geological, geochemical and geophysical analysis, habitat studies, and in ocean-circulation and tidal models. PIs, organisations and ships will be recognised for their contribution, and will hopefully derive goodwill benefits from participating in an international endeavour that requires the collaborative efforts of all. Funding agencies worldwide can encourage PIs to collect MBES bathymetric data by funding acquisition and processing. Funding should continue until the data is processed to the stage where it can be sent to an appropriate data centre. Funding for further cruises should be contingent on this stage being completed. All research vessels equipped with MBES should operate it at all times, not just on location. Transit tracks should be planned to help fill in some of the gaps in coverage in the data held by data centres. Return tracks from a station should be offset from the track used to get to the station. International organisations that do not already have in place policies along these lines should consider incorporating them into their policy for deep-ocean research.